Our delicious jams and jellies are made for us right here in Ohio's Amish Country by a small, Mennonite family business. They're not your run-of-the-mill, supermarket flavors, but around here, some of them are practically supper table staples. 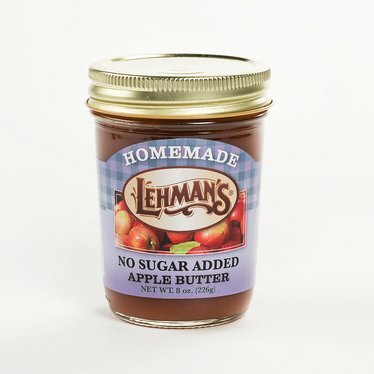 No Sugar Added Apple Butter: Apples, cider, cinnamon, citric acid. Very flavorful. The red raspberry and strawberry rhubarb were delicious. I ordered the 3-pack of the rhubarb strawberry jam, and I just love it. I will order some more when I am down to one jar. It is sweet but not too sweet, and is simply delicious.